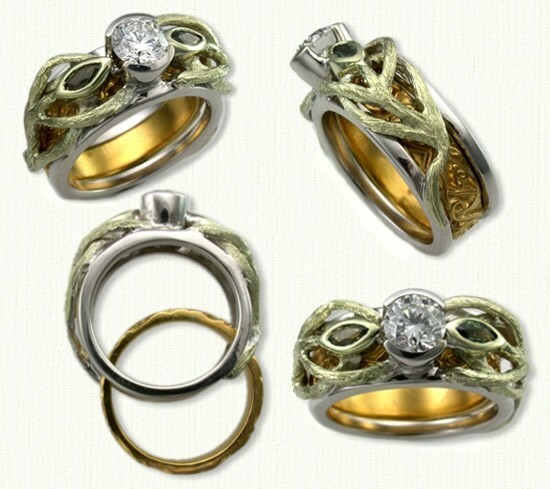 Custom 01: Shown: 14kt White and Yellow Gold Custom Reverse Cradle with a 1.00ct RBC Diamond Center Stone and 12 - 0.08ct Accent Stones (left). 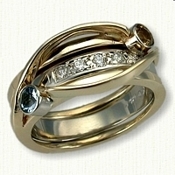 Shown with a 14kt yellow gold inside band. 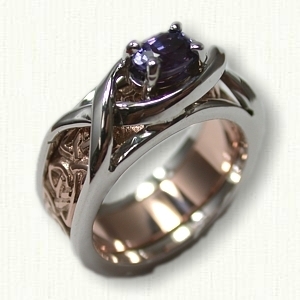 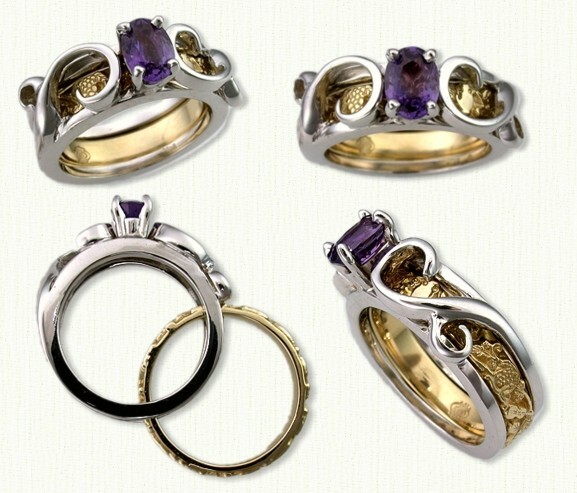 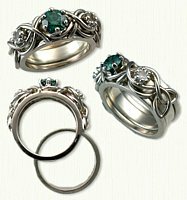 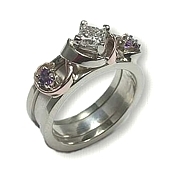 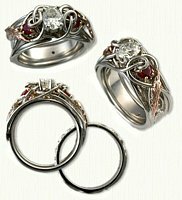 Custom 03: Shown: 14kt White and Rose Gold Custom Reverse Cradle with an emerald cut amethyst and 8 Accent Diamonds (right). 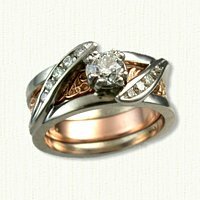 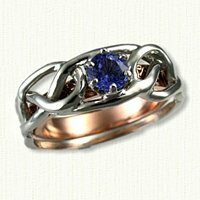 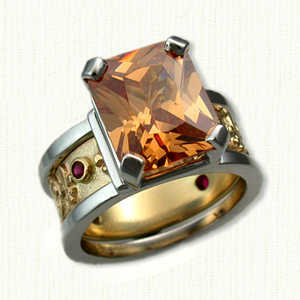 Shown with a 14kt rose gold inside band. 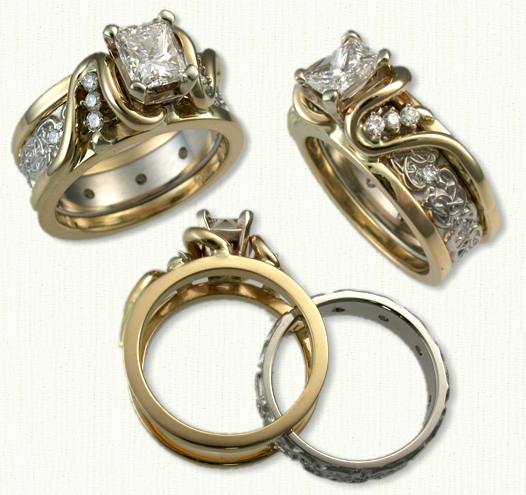 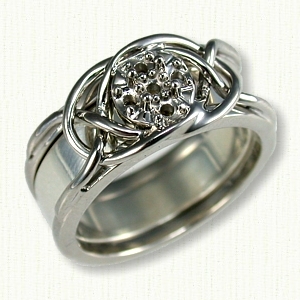 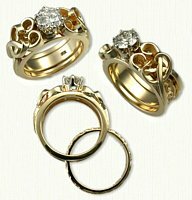 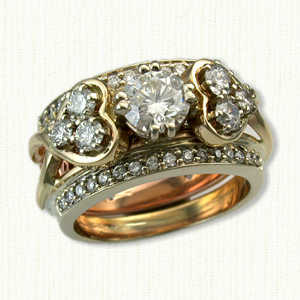 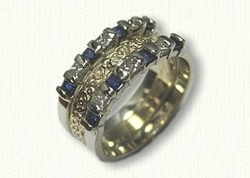 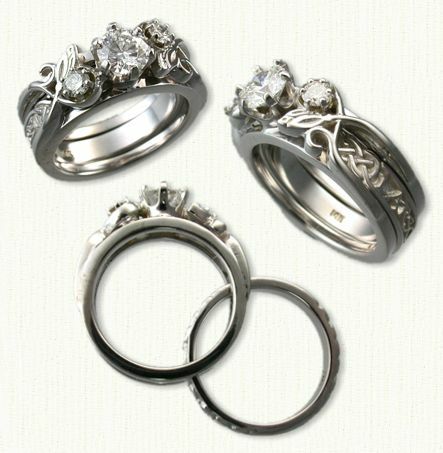 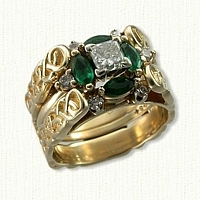 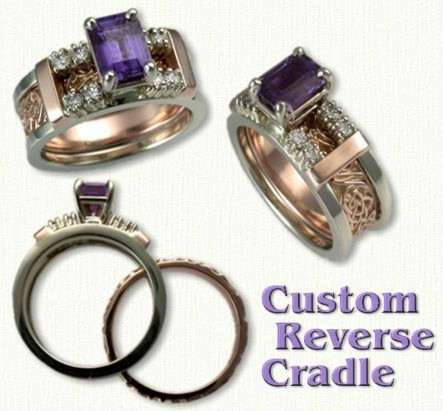 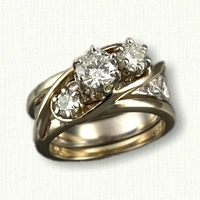 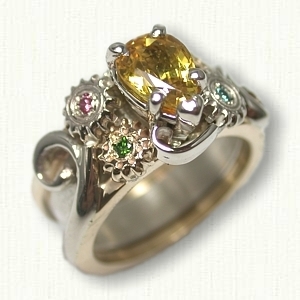 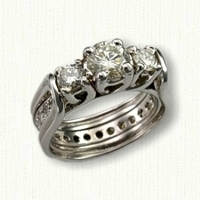 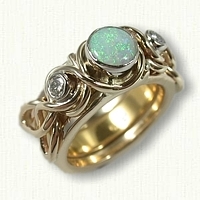 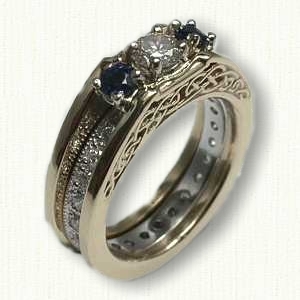 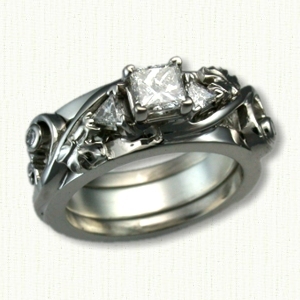 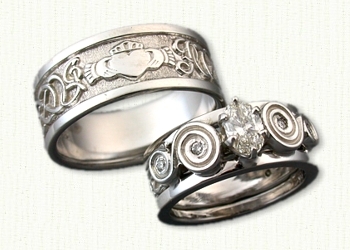 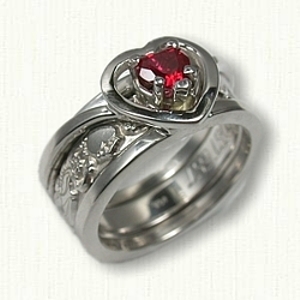 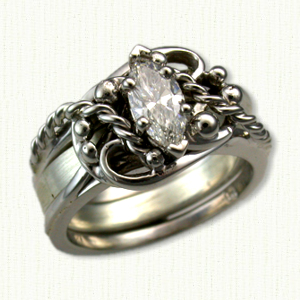 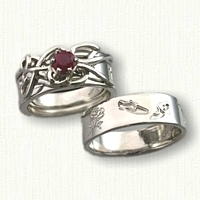 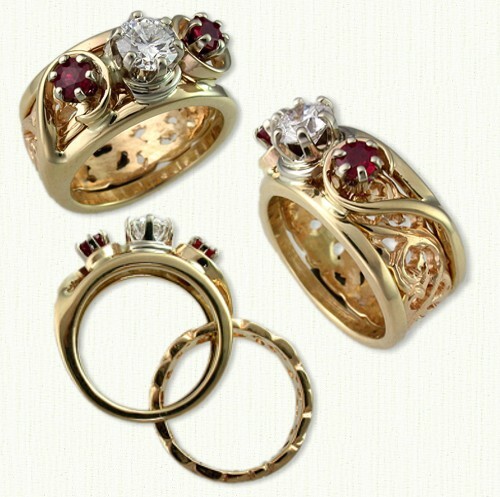 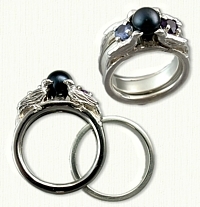 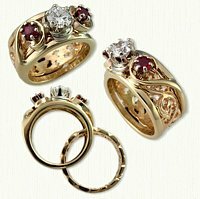 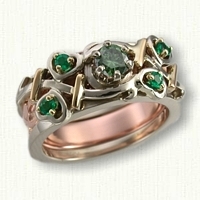 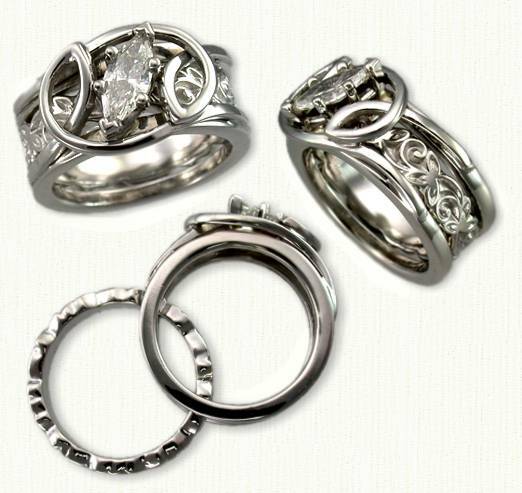 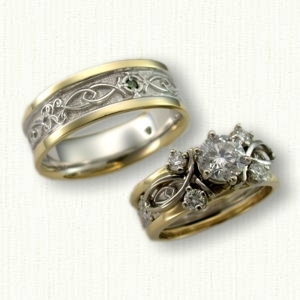 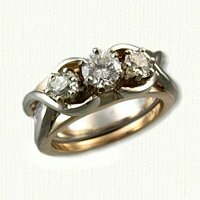 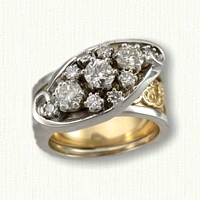 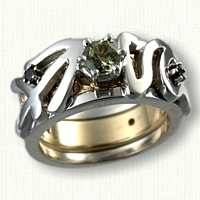 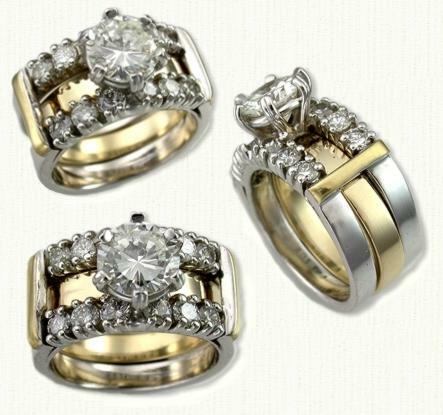 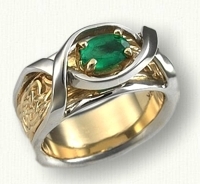 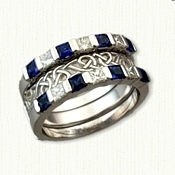 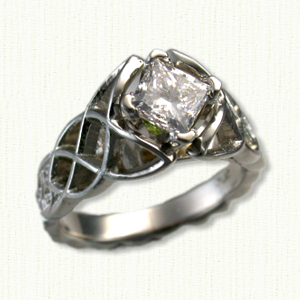 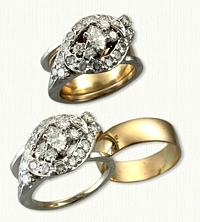 14kt Gold Reverse Custom Cradles START at $549 (excluding stones) and include a free sterling silver spacer band.